Everyone wants to save money, and people who are preparing to move are perhaps even more motivated to cut their expenses. 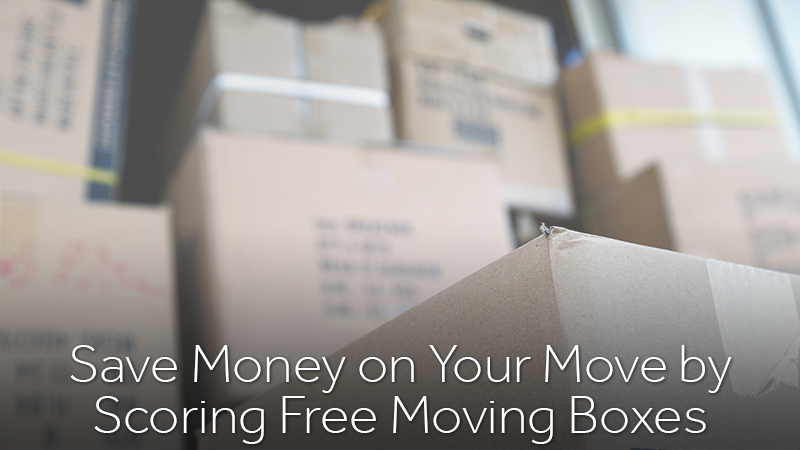 Moving requires an incredible investment of time, effort and money. Fortunately, there are some areas in which savings can be had. Finding free moving boxes is a prime example. The following tips are offered to assist people who are looking to cut costs by locating boxes for their upcoming move. Gone are the days of driving through the neighborhood or behind stores in hopes of finding a stack of broken down cardboard boxes. Today, people have access to a wealth of online resources that can help them locate free moving boxes. Craigslist, Freecycle and many local Facebook pages are all excellent resources for people who are in need of gently used cardboard boxes. In many cases, the people who create postings for free boxes feel strongly about recycling their moving boxes, rather than sending them to a landfill. In order to make the most of this resource, it is important to check in often and be prepared to jump on a listing as soon as it appears. Purchasing new boxes for a move can be expensive, so there is plenty of competition for used boxes. 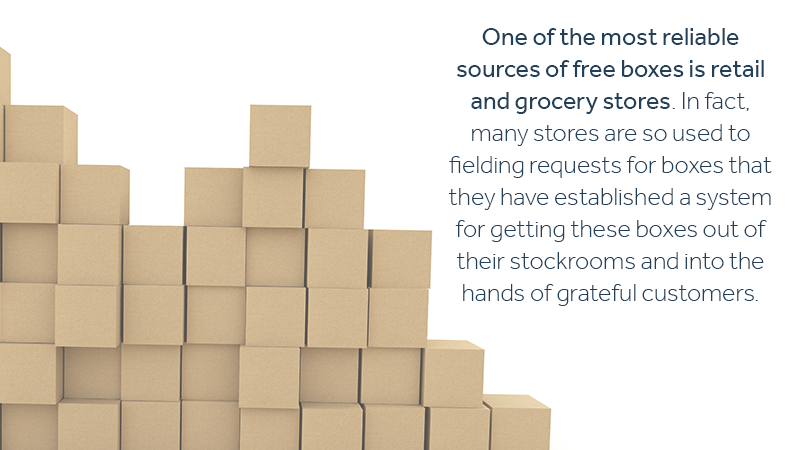 One of the most reliable sources of free boxes is retail and grocery stores. In fact, many stores are so used to fielding requests for boxes that they have established a system for getting these boxes out of their stockrooms and into the hands of grateful customers. Call ahead to ask about the process, and be prepared to head out to pick up the boxes late at night or early in the morning, after the restocking process is complete but before the store is busy for the day. One drawback of using retail and grocery boxes is the variety of shapes, sizes and composition of the boxes, which were designed to protect the contents. However, that might be a great fit for people who have diverse packing needs. Restaurant and beverage retailers are a great source of high-quality moving boxes. For example, liquor and wine stores regularly dispose of small boxes with integrated dividers that are perfect for packing glass and fragile items. Starbucks and McDonalds are also known to use shipping boxes that make great packing and storage options. You have a greater degree of consistency in size and quality with these boxes. Again, be sure to contact the management of your local stores and be prepared to pick up the boxes on their schedule, not yours. At Zippy Shell Houston, our team understands the importance of saving money during a move. For those who are looking for options, we offer a number of different solutions, including container-based moves and short-term or long-term storage opportunities. Plus, there&apos;s always a great deal to find. Right now we&apos;re offering a $20 discount plus FREE container delivery when you book six months of storage. Contact us today to learn more or get a free quote.